Fire Safety You Can Count On! Action Fire & Safety has provided top quality fire protection devices and systems from Pensacola and Crestview to Destin, Panama City and beyond since 1981. 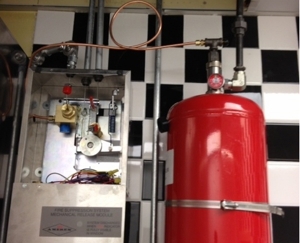 We provide commercial fire extinguishers and systems. We also will furnish your residential or commercial fire suppression system. Our prices are competitive, and we beat out the competition while maintaining a high level of customer service and satisfaction. Contact us for your FREE quote today! Action Fire & Safety offers 24-hour emergency service and FREE quotes. Call (850) 387-2713 today.